The Look is one of Auckland's most experienced Home Staging companies and continues to lead the market in style, service and value. Founded in 2003, we've helped Auckland's Homeowners Stage their properties through boom and bust, ensuring that no matter the market conditions, you achieve maximum sales value for your home. Our 16,000 square foot warehouse holds thousands of unique homestaging items and accessories. So, whether you're a Homeowner, Real Estate Agent, or Property Developer, our professional and friendly team of designers will find the perfect look to make selling your home easy and profitable - no matter the size, shape, or style. The Look's dedicated team pride themselves in providing superior service that ensures your home looks exceptional and always stands out from the rest. With a knack for tying together colours, textures and finishes to create ambiance, and incredible spacial conception, Senior Designer Kate has been helping people find "The Look" for well over ten years. Her vast experience enables her to work with people to find pieces and looks that reflect them, and she is expert at creating spaces that make people comfortable and happy in their own homes. 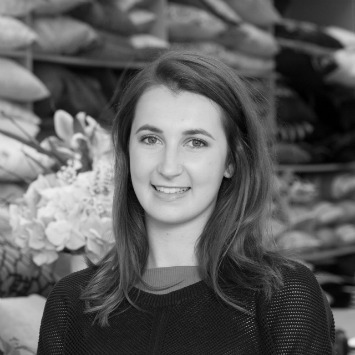 With a degree in Fine Arts from Ilam, Kate has worked on everything from multi-million dollar fitouts to simple off-the-shelf solutions for bach owners. Outside of work, her love of yachting (both racing and cruising) and painting both keep her busy. Our globe-trotting latest addition, Aimee has completed a design degree in Auckland and New York, bringing back inspiration from the States and Europe to The Look. Since completing her degree, she's been "wowing" the visual and interiors industry in New Zealand, and now brings a huge amount of enthusiasm and skill to the team. With a talent for visualising solutions for difficult to stage spaces, Aimee can make any room appealing to prospective buyers. Her passions include dance and travel; she even recently completed a "walkabout" of some of Europe's finest architecture and design – inspiration for many a room, we're sure! A member of The Look team since our very early days, Kate is a home staging guru, understanding exactly how to present a home in order to appeal to the maximum number of buyers. A client favourite, Kates organisational skills and design flair make the perfect match when it comes to the fast paced world of home staging. With over 10 years staging and design experience, Kate has seen and done it all and is perfectly positioned to present your home to its best advantage. With a Degree in Interior Design, Anna brings an exceptional design talent to our team and takes great pride in getting the perfect results for our customers. She's also one of the nicest people you may have the pleasure of meeting! Feel free to describe your premises if it's something special. If your premises isn't a major concern to your clients, you can just delete these blocks. If you've got questions, we'd love to give you some answers. Feel free to contact us on YOUR PHONE NUMBER. "We believe that getting THE SERVICE WE OFFER, doesn't have to be CURRENT PROBLEM CLIENT FACES (E.G. EXPENSIVE, TIME CONSUMING, CONFUSING, DIFFICULT). We started in YEAR YOU BEGAN, in YOUR LOCATION, with an idea. YOUR TARGET CUSTOMER had a problem. They DESCRIBE TARGET CUSTOMER PROBLEM. The way we saw it, by providing YOUR TARGET MARKET with YOUR SERVICE IN THE UNIQUE WAY YOU PROVIDE IT - NOTE YOUR KEY POINTS OF DIFFERENCE IN THE WAY YOU OPERATE we could DESCRIBE THE MAIN BENEFIT YOUR MARKET GETS FROM WORKING WITH YOU. We're a company that prides itself on DESCRIBE YOUR VALUES. We're the kind of people that DESCRIBE WHO YOU ARE AS PEOPLE, YOUR CULTURE. LINK OFF TO YOUR OUR PEOPLE PAGE IF YOU'D LIKE TO GO INTO TEAM PROFILES. DESCRIBE THE MAIN REASONS THAT MAKES YOU GREAT TO WORK WITH! We really appreciate you taking the time to get to know us. To talk further about how we can work together, get in touch on YOUR PHONE NUMBER. We look forward to talking hearing from you! Thank you for the absolutely amazing job - the place looks fabulous. In fact, it's so good that we've sold already! Many thanks! From the moment I made my initial enquiry through to the day the furniture was removed the staff at The Look were a pleasure to deal with. Kate was very approachable and listened to my ideas, translated them perfectly and added her special touch, I couldn’t have been happier. I have to admit I was initially skeptical about home staging, but the results are just superb and worth every penny. Congratulations again on a great job. I would just like to say thanks so much for such a fabulous job you have done on staging our house. You have completely transformed it and I can't believe it could look so fantastic. This has by far been the best money I have spent on the house and it makes the house look like a million dollar property.Thanks again and I will look forward to using you next time.